ELECTRIC MOTOR 2HP REQUIRES 20AMP CLEAR CIRCUIT 115 VOLTS. TRANSPORTATING HOW ???? THIS UNIT IS #250 LBS. 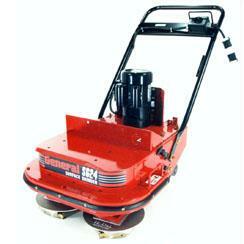 * Please call us with any questions about our grinder concrete surface 24 inch rentals in South St. Paul MN metro area.